It’s All About The MUD! 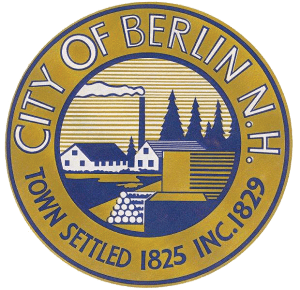 Berlin, New Hampshire – The Jericho ATV Festival is an ATV enthusiast’s dream come true, featuring mud races, demo rides, live music, delicious food, and more! The annual festival takes place at Jericho Mountain State Park, which boasts more than 80 miles of trails. 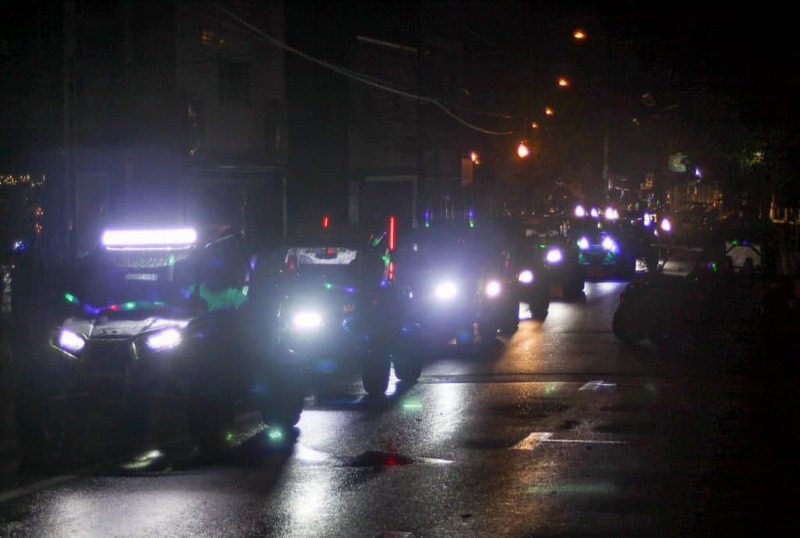 With more than 1,000 miles of interconnected OHRV trails in the Ride the Wilds network, New Hampshire’s Grand North is paradise for ATV riders, and the Jericho ATV Festival Presented by Progressive puts the spotlight on the very best riding in the northeast. 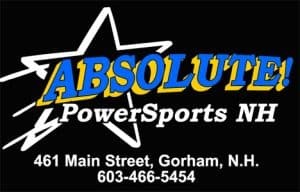 Be sure LIKE us on Facebook for all the latest updates!! Energetic, charismatic and dedicated, 8084 have been exciting audiences for over a decade, performing throughout the US and beyond! No matter where they are, 8084 always demonstrates the ability to please a crowd. ATV / Motorcycle Freestyle Show with ATV Big Air Tour! 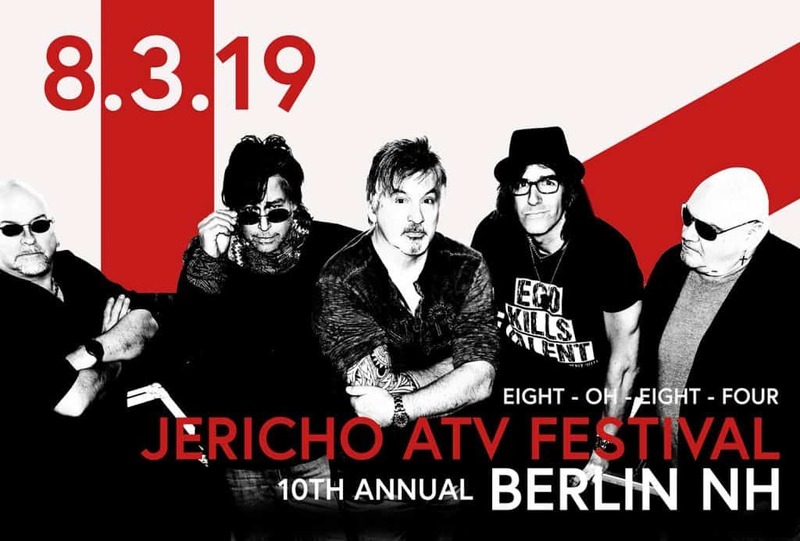 The 10th anniversary Jericho ATV Festival is getting a BIG Air overhaul this summer when the National Touring ATV Big Air Tour comes to town. This high flying, professional off-road show will get you on your feet screaming and cheering for more. 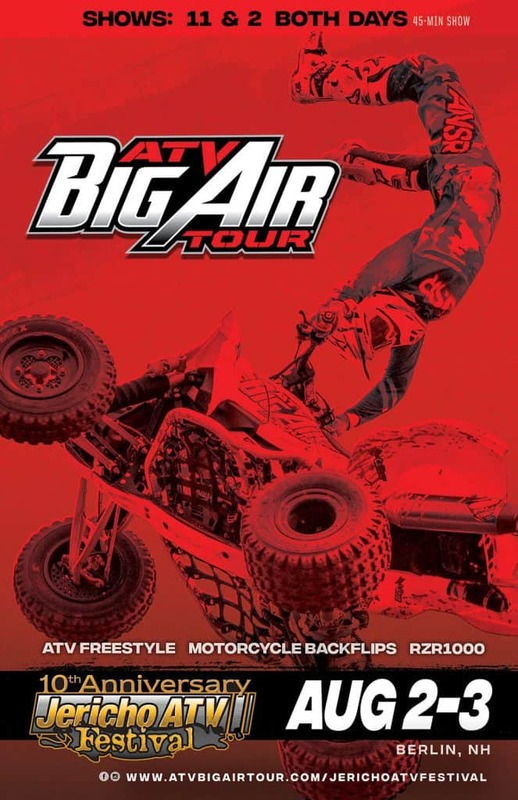 Created by legendary Pro ATV riders Derek & Jon Guetter, the ATV Big Air Tour will be riding (2) 45-minute shows Friday and Saturday for families and audiences of all ages. This year’s schedule has the Big Air Crew touring across 8 States entertaining tens of thousands of fans for the 5th consecutive year. With 15 years riding experience and touring all around the world, the Guetter brothers say the 2019 summer tour will be the best yet. 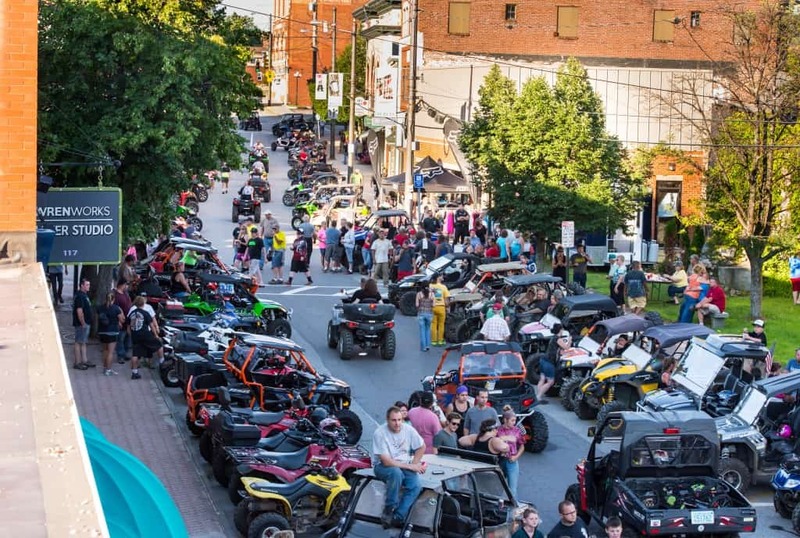 Become a SPONSOR or VENDOR of the Jericho ATV Festival!